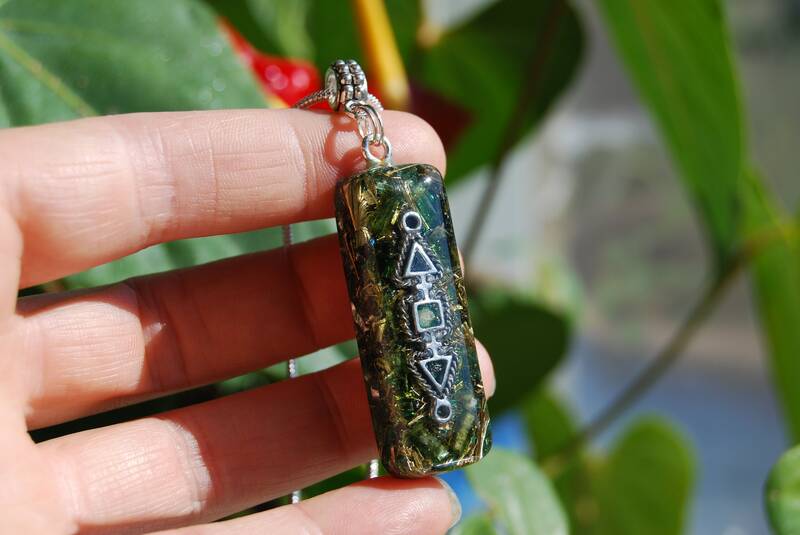 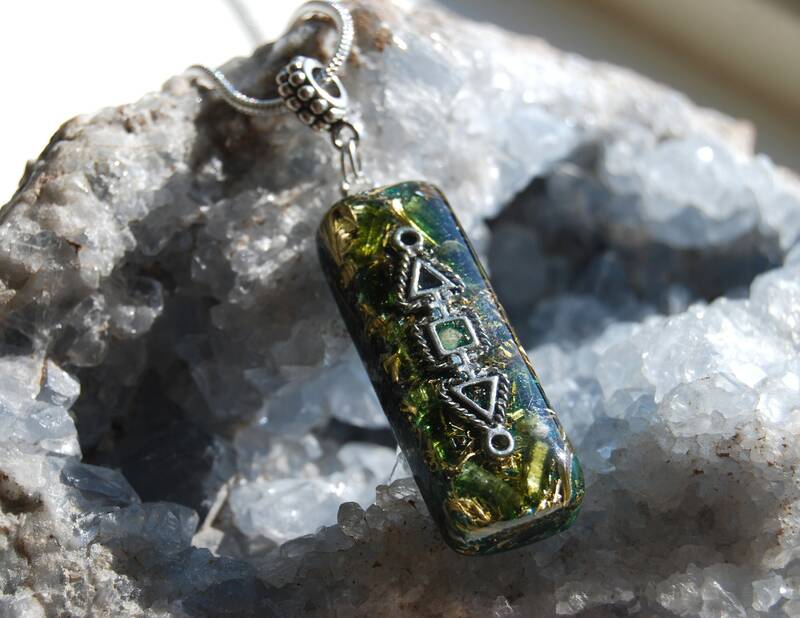 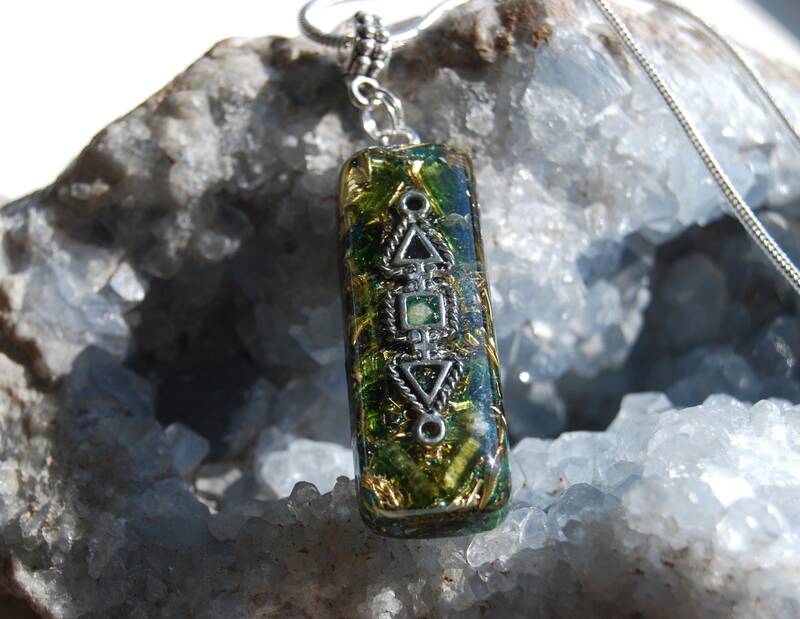 This lovely orgonite pendant contains brass, copper, bronze and some aluminium shavings. 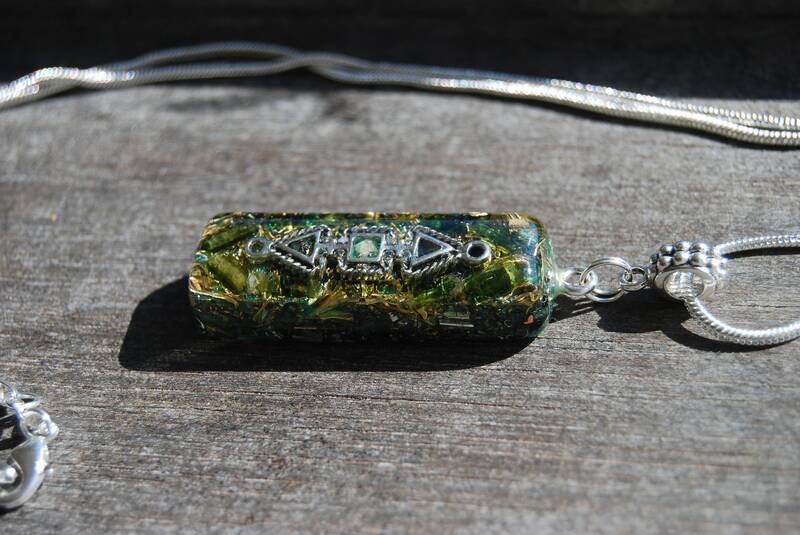 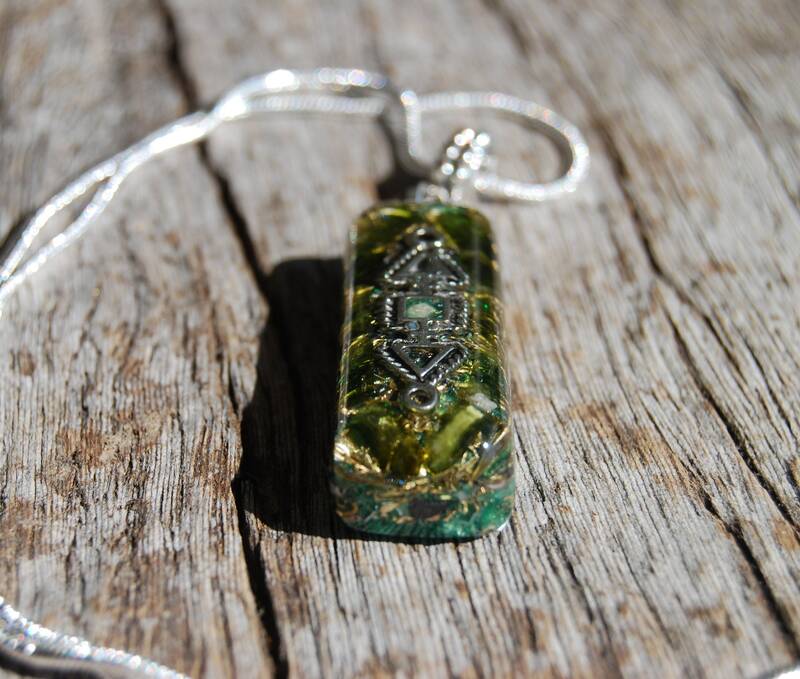 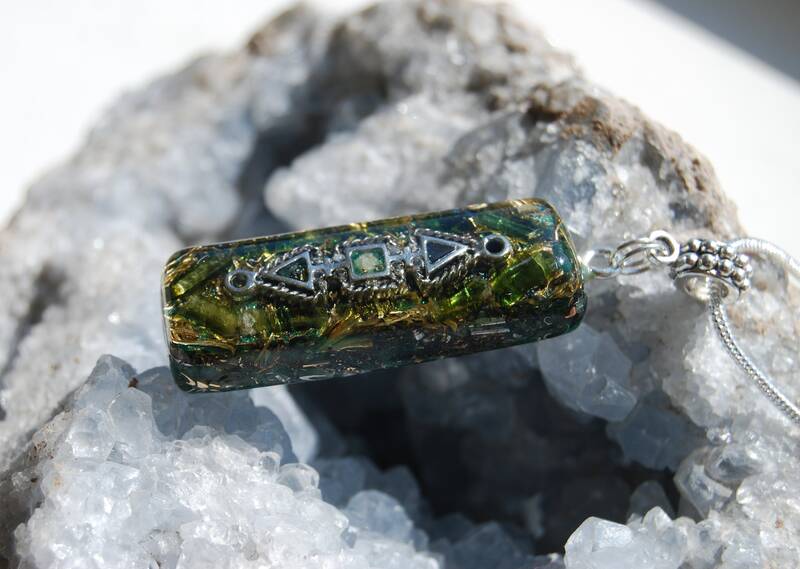 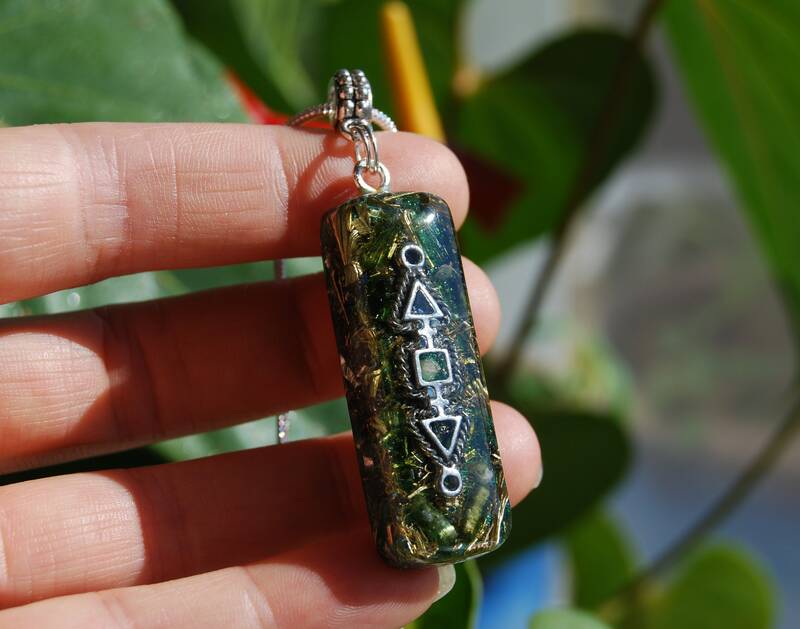 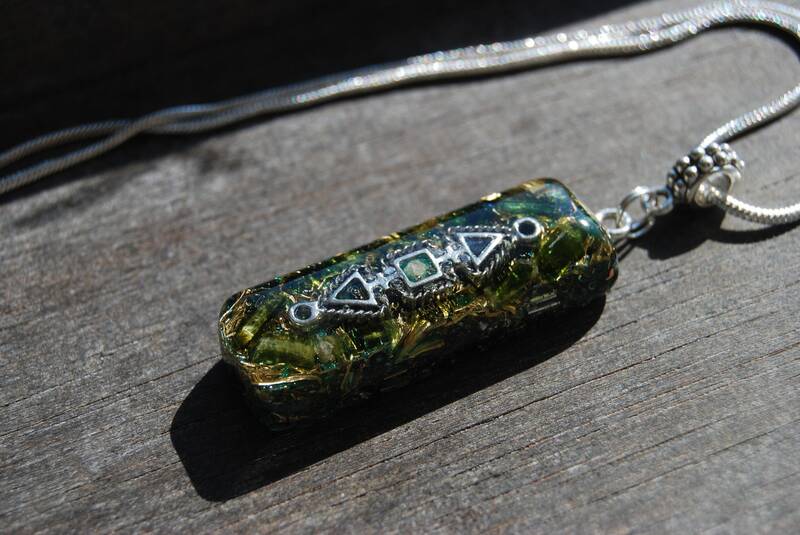 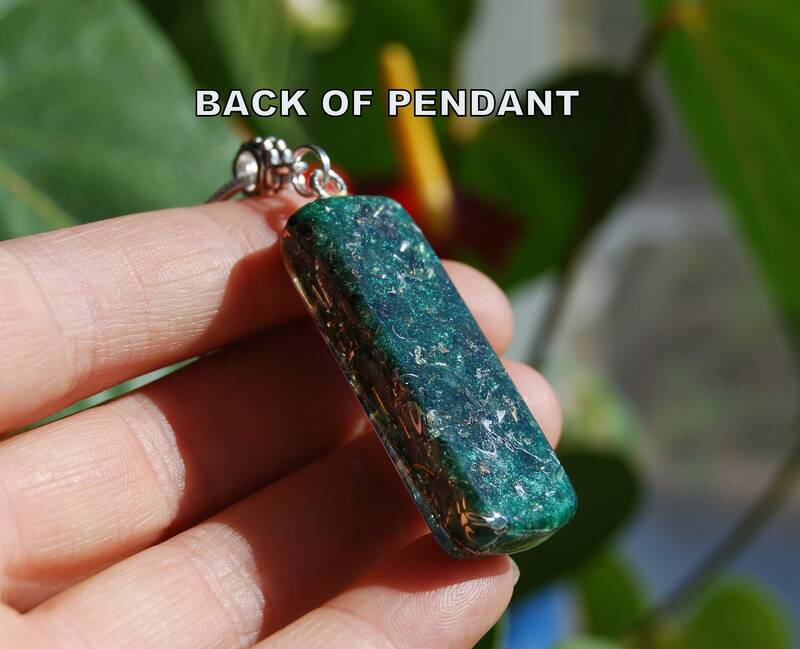 It also contains raw green Tourmaline pieces which you can see in the front, black Tourmaline (for protection and grounding excess energy), Rhodizite (to amplify the other crystals), Selenite (to clean and charge the other crystals) and clear quartz (for piezo electric effect) all within a resin setting. 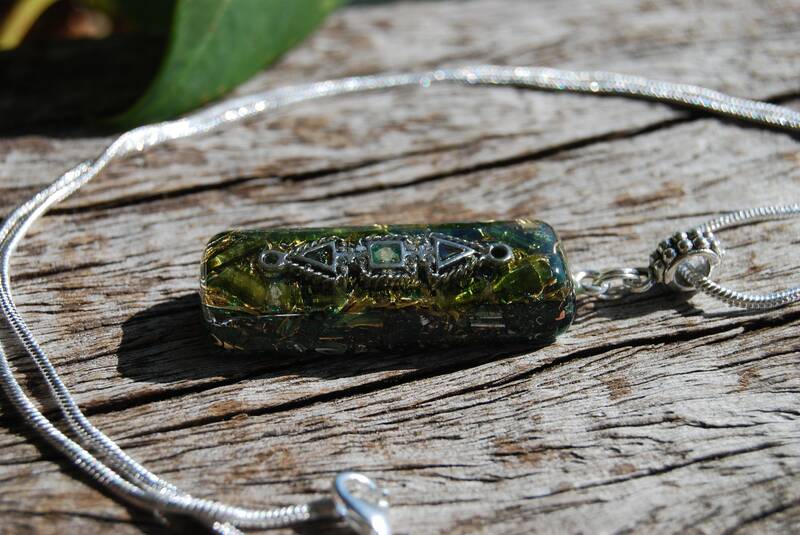 It comes on a 925 silver plated 22 inches / 54 cm necklace with lobster closing.